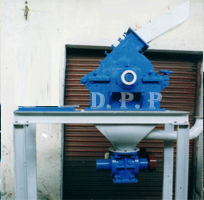 DP Pulveriser industries manufactures a large variety of Impact Crushers to virtually any size reduction job. The extremely rugged construction of Impact Crushers ensures a long life with minimum maintenance easy to install and economical to run. The shell of Impact Crusher is lined throughout with MS, Cast Iron or Manganese Steel, according to the size of Impact Crusher and duty required. We can provide a Impact Crusher to reduce almost any material to the size required. Material is fed in Impact Crusher from the periphery through a hopper into the grinding chamber to minimize air pressure, greatly reducing dust problems. For some material suitable ventilation is recommended by introducing air on the discharge side of the crusher, this will prevent a dusty atmosphere at the inlet of Impact Crusher. The swinging hammers in Impact Crushers crush the materials along the stationery liners before discharging through a perforated screen at the bottom; replaceable bar type screen is available for specific application. Combination of hammer style, liner plates and sieve inserts offer almost unlimited possibilities to cater user needs from an Impact Crusher. The Impact Crushers are used for crushing or shredding of diverse materials such as: Limestone, Glass, Coal and Lignite, Clay, Sand, Phosphate, Rock, Fertilizer, Aluminium Oxide, Slags, Coke, Silica, Bauxite, Dolomite, Grain, Barytes, etc. 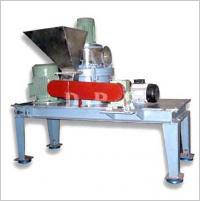 ➤ Impact Crusher is specifically designed to withstand the abuse of grinding of abrasive materials. 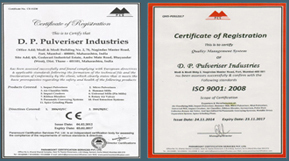 ➤ Heavy duty, replaceable, abrasion resistance wears plates in mill top. ➤ Heavy duty hard faced or heat treated hammers. ➤ Heavy duty rotor assembly. ➤ Rugged bar screen or thick perforated metal screens to size materials. 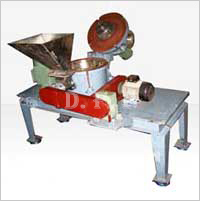 ➤ Impact Crusher is opted with Dust-tight or water-tight construction. 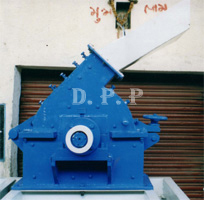 ➤ All stainless steel construction available in Impact Crusher.